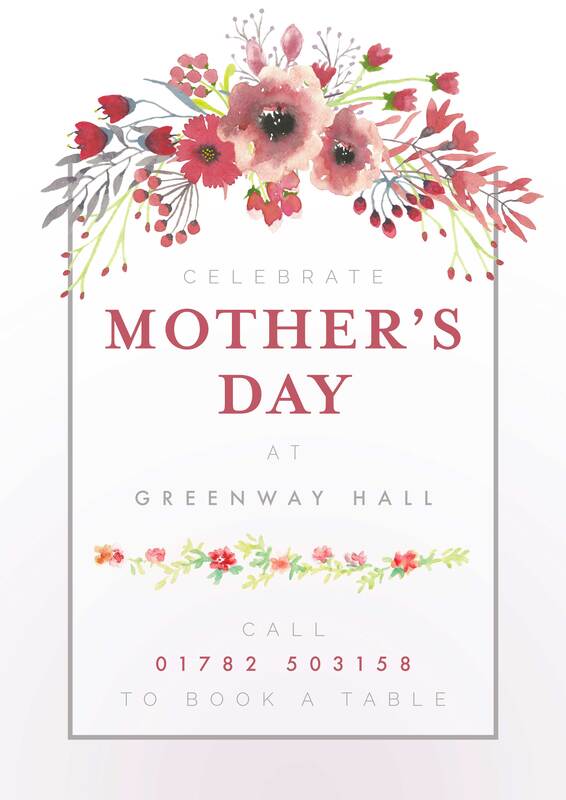 Treat your mum this Mother's Day to a fantastic 3 course meal at the Greenway Hall restaurant on 11th March. See Menu. To book please use our online diary. Or for furher information contact us.